Police Supt. Eddie Johnson said, around 1 a.m. Tuesday, on-duty officers in an unmarked police SUV saw a vehicle matching the description of a vehicle that possibly had been used in an earlier crime and tried to pull it over. It wasn’t the right vehicle, but the driver did not stop, and instead sped away. Johnson said it does not appear the on-duty officers knew the driver was an off-duty officer. Moments later, the off-duty officer’s Jeep hit a silver Nissan at a high rate of speed at the intersection of Roosevelt Road and Kostner Avenue. 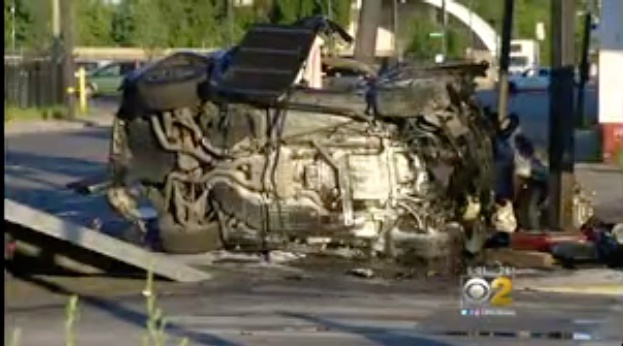 Johnson said the off-duty officer and the woman driving the Nissan were killed, CBS Chicago reports.